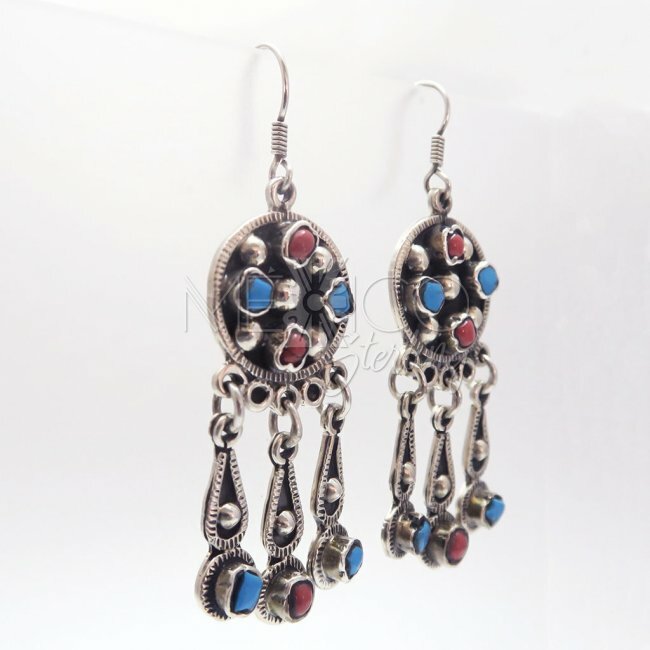 Taxco Rustic Silver Stone Earrings [EAR3400] - $80.00 : Mexico Sterling Silver Jewelry, Proundly from Mexico to the world. 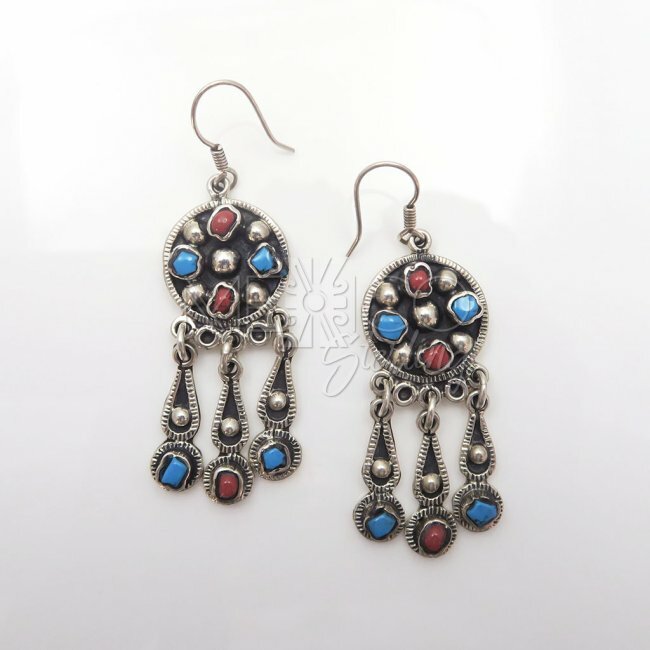 Dimensions: W: 7/8" L: 2 5/8"
These silver stone earrings are really nice, specially for those kind of people who love the classic Mexican, vintage style jewelry. 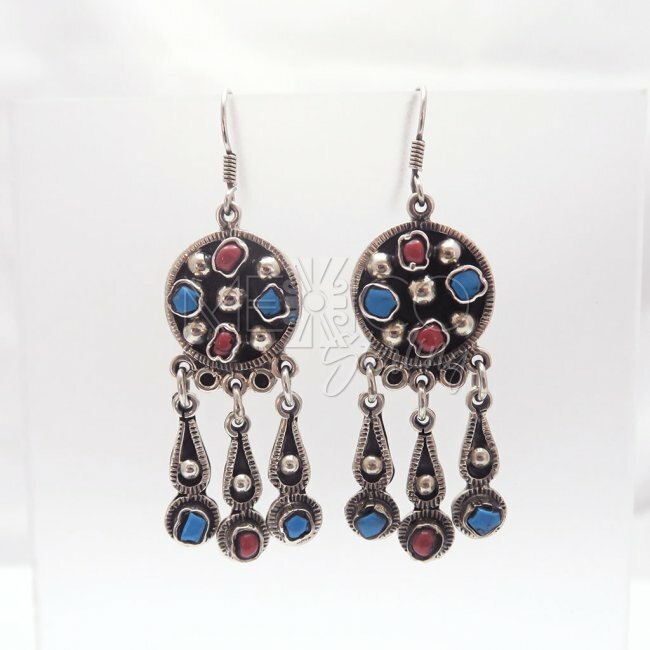 These silver stone earrings are collectible jewels, that carry a very well known colonial Mexican look. 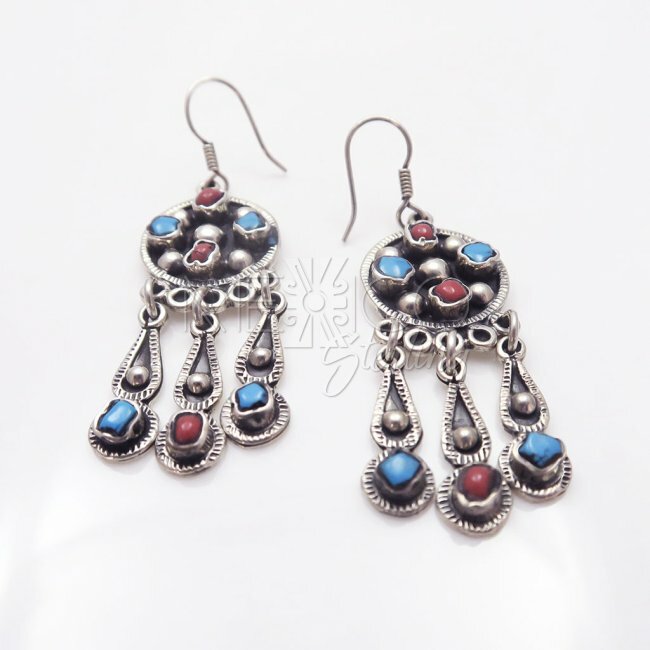 The design on these earrings are inspired by the works of "MALT- Matilde Poulat". 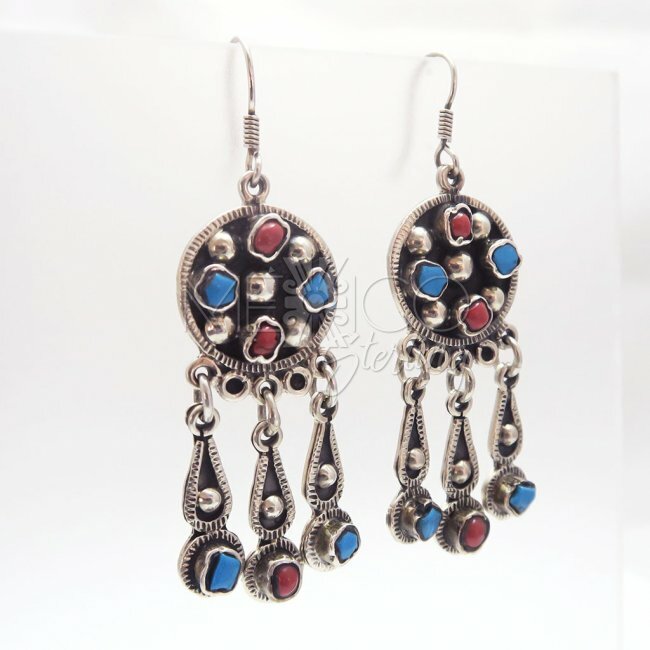 These handcrafted sterling silver dangle earrings carry a couple Turquoise and red Jasper cabochons, that give life to the drawn, carved creases on the metal. I also would like to point out that they are crafted with a rustic finish to give them the touch of an ancient style. 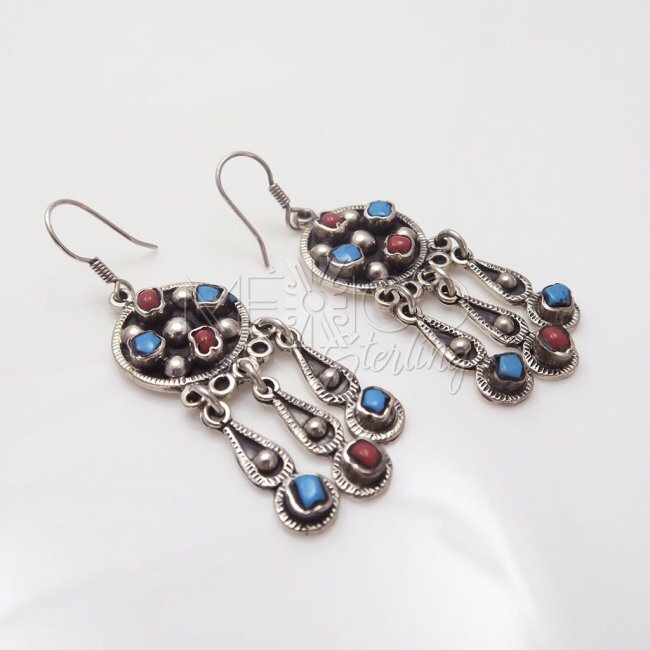 I also would like to mention that the background is oxidize silver, showing a darker silver metal that makes all these features come to life, The handmade silver and stone earrings are unusual designer silver jewels that are not found very often anymore. 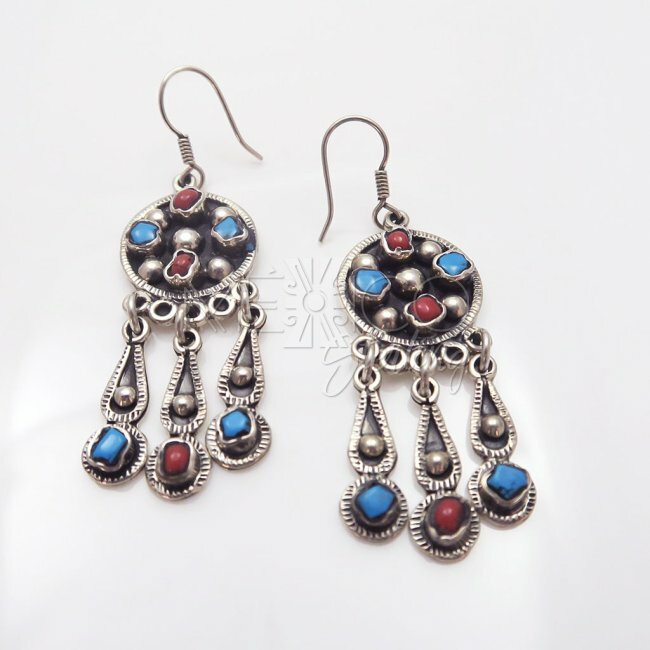 I would like to mention as well, that the Turquoise cabochons you see here, are built by Turquoise dust. 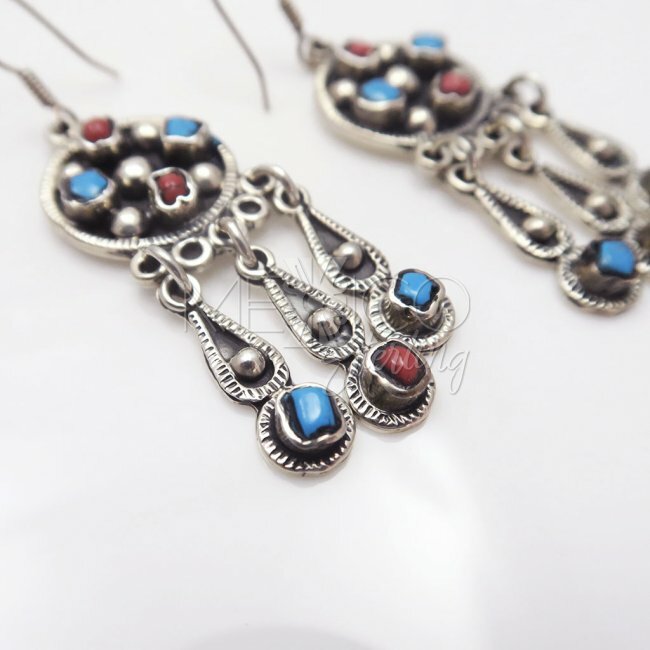 Please take a look at the extra photos, for more details on these beautiful rustic silver earrings.